At Advanced Dental Health, we begin each patient's experience with a personal consultation. During this appointment, the doctor will spend valuable time with you discussing your aesthetic and oral health goals, answering your questions, and addressing any concerns you may have regarding your treatment options. For patients who can benefit from a combination of cosmetic treatments, a smile makeover may provide the most satisfying results. Contact our Phoenix office today to schedule a consultation. At Advanced Dental Health, we are firm believers in providing the opportunity for aesthetic improvement to each of his dental patients. Whether or not more extensive restorative work is needed, there is a cosmetic aspect to each of the treatment plans we create. Thanks to astounding technological advancements, we can answer the famous question: "What will it look like when you're done?" 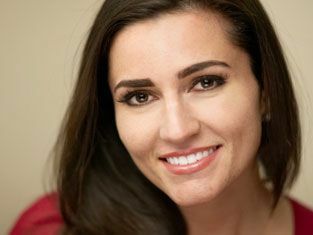 Digital imaging gives us the chance to show you exactly how your smile will appear, even before we begin the procedure. It is common for our patients to undergo teeth whitening treatment before the placement of crowns or veneers to ensure that the color-matching technology of our ceramic restorations is used to its full potential. Teeth whitening and porcelain veneers are often used together to help blend the veneer naturally into your smile. The same strategy is used when placing crowns or bridges. In some cases, we can also use dental bonding to correct minor cosmetic flaws. If the doctor has included orthodontics in your treatment plan, we may suggest you wait until your smile is straight before we whiten your teeth. As your teeth shift into place, overlapping surfaces may be exposed as discolored. Whitening after orthodontic treatment will provide a fantastic end result. Smile makeover treatments can make a stunning difference in patients who have neglected their oral health for years. After meticulous care of any lingering periodontal disease, tooth decay, and structural problems, we can put an artistic touch on your new, healthy smile to provide the transformation of a lifetime. Whether your smile could use a quick pick-me-up or your cosmetic dentistry goals make up the majority of your treatment plan, the doctor will make the appearance of your smile a priority. At Advanced Dental Health, no procedure is completed without aesthetic goals in mind; every one of our patients can have their own smile makeover. If you would like to learn more about the treatments we provide, we welcome you to contact us today. Schedule a consultation with us to take the first step toward a brand new smile.